Glenn W. (Bud) Hannegan Jr.
Glenn W. (Bud) Hannegan Jr., 73, 2367 N. Broadway Ave., Sidney, Ohio died at his residence on Sunday, May 14, 2006 at 2:03 PM after an extended illness. He was born September 8, 1932 in Watonga, Oklahoma the son of Glenn W. and Augusta (Messer) Hannegan Sr. They are deceased. He moved to Sidney from Huntington Beach, California in 1971. He was married May 7, 1981 to Ann Frankenberg and she survives along with four children, Mike Hannegan and wife Marilyn of Piedmont, Oklahoma; Margaret Morris and husband Charles of Oklahoma City, Oklahoma; Katherine Hannegan of Sidney, Ohio; and Shawn Hannegan of Russia, Ohio; four step-children, Donna Starrett and husband Mark of McCartyville, Ohio; Mark McClain Jr. and wife Kris of Belleville, Illinois; Michael McClain and wife Virginia of Sidney, Ohio; and Lori Damron and husband Chris of Miamisburg, Ohio; ten grandchildren; three great-grandchildren; one sister, Alicemay Abbott of Stettler, Alberta, Canada and several nieces and nephews. Timothy Hannegan, a son; Kathryn Hannegan, a sister; and Jack Abbott, a brother-in-law are deceased. He was a 1950 graduate of Seminole High School in Seminole, Oklahoma. He graduated from Oklahoma State University where he earned a Bachelor of Science degree in Mechanical Engineering. He was a veteran of the United States Air Force in the Korean War and a member of the Sidney American Legion and the Refrigeration Service Engineer&#39;s Society. Glenn began his career with Copeland Corporation in Sidney in 1971 as an Application Engineer working with a wide variety of OEM customers. In addition, he has servced as a Service Engineer performing field troubleshooting across the United States and Canada. Since 1979, he worked in Copeland&#39;s Training Department as Service Training Specialist. He retired from Copeland in July of 2000 as Senior Training Specialist. Prior to joining the company, he spent four years as the Service, Training and Quality Control Manager for a prominent air conditioning equipment manufacturer in California. 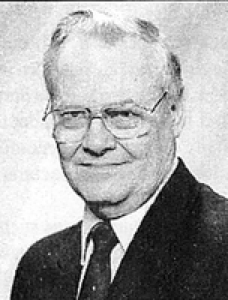 Glenn had a life-long history in the refrigeration and air conditioning industry. He grew up assisting his uncle in a refrigeration service business while still in high school. He conducted Service Training meetings for literally thousands of Copeland customers. To recognize his achievements, the RSES recognized Glenn as &quot;Speaker of the Year&quot; in 1983 for his outstanding service training in RSES chapters and conferences. He was frequently published and recognized for his expertise in several industry trade publications. Funeral services will be held on Thursday, May 18, 2006 at 10:30 AM at Salm-McGill and Tangeman Funeral Home with Rev. Bobbie Predmore. Burial will be at Graceland Cemetery with full military honors. Friends may call at Salm-McGill and Tangeman Funeral Home on Wednesday, May 17, 2006 from 4-7:30 PM. An American Legion prayer service will be held at 7:15 PM. Memorial contributions may be made to Wilson Hospice, 915 W. Michigan St., Sidney, Ohio 45365 or the ALS Association of Central and Southern Ohio Chapter, 1810 MacKenzie Drive, Columbus, Ohio 43220. Envelopes will be available at the funeral home.